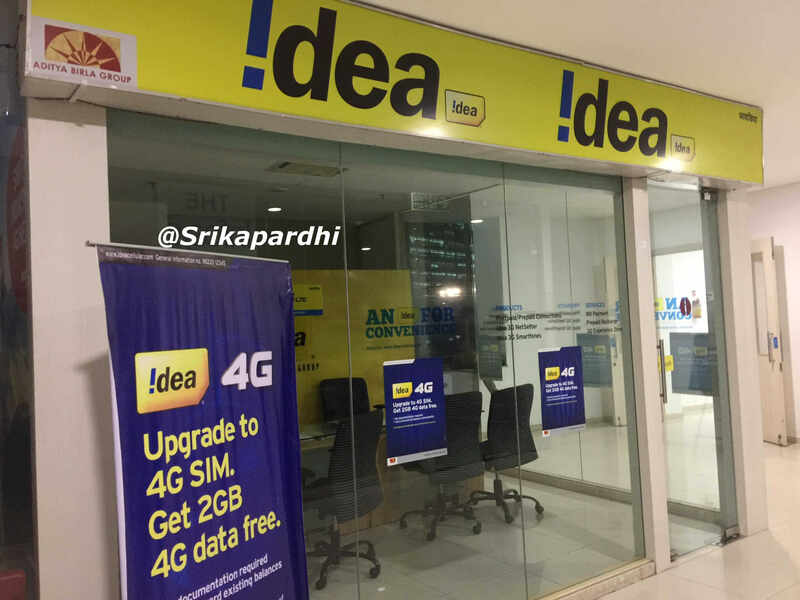 Idea Cellular said that mobile data business is currently in high investment and low capacity utilization phase, even as now 3.1 million customers actively use 4G services, out of 19.3 million 4G device owners in Idea’s overall subscriber base. The telco’s overall data subscriber base reached 54 million with data volume growing at 15.4% to 107.4 billion MB in the second quarter, up from 93.1 billion in the first quarter. Idea said that it pursued a volume growth strategy resulting in 5 million mobile data user addition in the last quarter. Idea mobile broadband service (3G+4G) adoption is steadily improving, the telco said, adding that highest ever 9 million Idea customers upgraded their existing 2G phones to 3G or 4G smartphones, taking the overall smartphone count to 70.4 million. The telco said that 5.1 million of its customers upgraded their existing 2G phones to 4G smartphones in the quarter. During the quarter, 3.7 million smartphone owners started to use mobile broadband services and overall base increased to 30.7 million broadband users. The blended mobile data ARPU (2G+3G+4G) stood at Rs 130, down from Rs 144 in the same quarter last year. The data usage per subscriber however has increased to 694 MB in the second quarter of this fiscal, against 615 MB in the same quarter last year. The telco said that mobile broadband data volume (3G+4G) has grown exponentially at 85.5% from 43.1 billion MB in second quarter last fiscal to 79.9 billion in this fiscal’s quarter. Idea added 5,006 4G sites during the quarter, reaching to 24,945 4G sites, now covering 171 million Indians across nearly 2,400 towns and 7,500 villages in 10 service areas. Additionally, company expanded its 3G network by 9,236 sites reaching to 60,467 3G sites, now covering 377 million Indians across 4,100 towns and 73,000 villages in 13 service areas. “These number are a clear testimony of Idea’s ability to build and operate for high growth mobile broadband market,” the telco said. The telco’s overall Data Realization Rate (ARMB) fell by 11.2% rom 21.1p in the first quarter to 18.7p per MB, limiting the sequential mobile data revenue growth to 2.5% only. Using fraudea 4G services at close to Rs.300 for 1 GB data for 28 days?. RIP fraudes 4G. But Idea 2G voice packs rock in Tamilnadu with low tariffs.